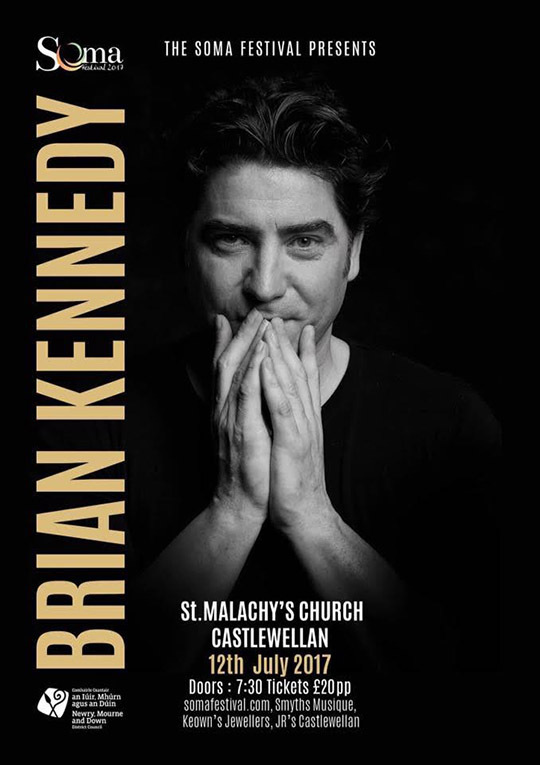 Castlewellan’s flagship family festival is set to return for a fifth year with renowned Belfast-born singer-songwriter Brian Kennedy opening. The Soma Festival is back with its usual energy, the festival team working around the clock to produce a programme full of great music, folk sessions, local food and a host of NI brewers. Beginning on Wednesday 12th July 2017 and running until Sunday 16th July the festival is set on bringing in the widest audience yet. Last year’s festival brought in 15,000 participants, over 200 musicians, artists, wellbeing practitioners and entertainers, and scores of chefs to celebrate NI Year of Food and Drink. The Soma Festival is a grassroots, community-organised festival that began in 2013. Previous performers include Cara Dillon, Duke Special, Lisa Hannigan and many others. The full programme will be announced in due time.